UPSEE Admit Card 2019: AKTU will invite students to take admission into the BTech course for the academic year 2019-20. Candidates can take admission in different affiliated colleges of AKTU through UPSEE 2019 exam only. To appear in this exam, candidates will have to download the UPSEE Hall Ticket from the official site. Latest Update: UPSEE 2019 Admit Card Released. Get your admit card from the link given below. Only aspirants who will submit the online application form with the examination fee in a successful manner will be able to download the admit card. Here we have discussed how to download admit card, important dates etc. To perform well in this exam, you should check the complete UPSEE 2019 Syllabus also. Check the UPSEE-2019 Exam Date along with the admit card release date here. Aspirants can check the steps given below to download their admit card. Look for the admit card link in News & Events section. Click on UPSEE Admit Card Download link, enter the required details and submit it. 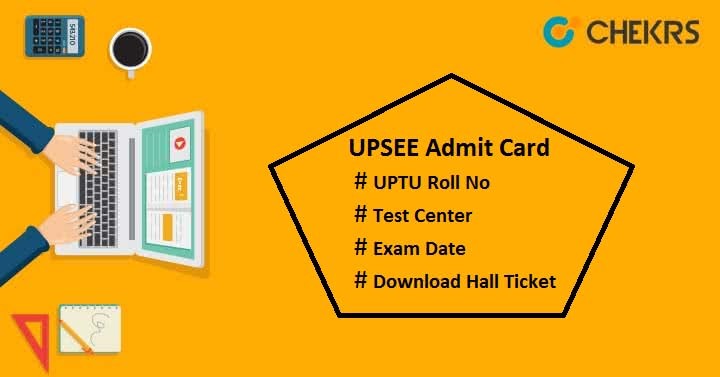 The “UPSEE-2019” admit card will be shown on your device screen. Save it and take the print-out for the future use. Candidates can download the admit card through online process only. No other way will be available to get it. Candidates are required to carry their admit card during the exam. Without it you will be not allowed to get entry at the exam center. The admit card will contain bar code also. In case your admit card does not have the bar code, then re-download UPTU UPSEE Hall Ticket. Report at the exam center at least 30 minutes before the commencement of examination. Do not tamper or damage with your admit card as it will be inspected by invigilator. Read all important instructions printed on the admit card and adhere it strictly otherwise you will be barred from the exam. Keep your admit card safe until the admission is not completed. Hope we have provided the useful information to download the UPSEE 2019 Admit Card. For any further enquiries, write back to us in the comment box below. We will respond you soon.